May be fitted to a wide range of handles, giving a firmer more positive grip. 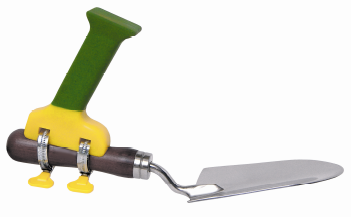 Just add on to your favorite garden tool. Or can be added to a long handled broom or mop,making general housework easier.